If you are into the foods and dairy products industry, you must understand how challenging this business can be. For the dairy products exporters, it is important to ensure a perfect balance of time and quality as the products can be useless if it is not delivered on time and also if the quality is not up to the mark. 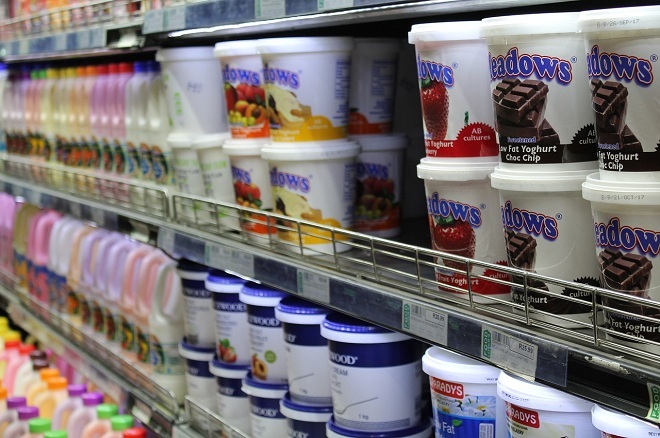 With nearly 65% increase in total imports over the 2011-2015, the industry of dairy products exports is one of the fastest growing markets in the world, allowing dairy products exporters to enjoy great revenue. For the new businesses, it can seem like a minefield at first. But, I would like to share with you the six steps to the success of your import-export business and guide you through the maze and point you in the right direction. You cannot just start exporting your food and dairy products to any nation. It is important to choose your market appropriately with accurate market research and some information about the target audience. Know everything about the country where you want to sell to and understand the market demographics. Having some insight about the competitors can be an added benefit. Speak to the organizations that are established by local governments to help the international businesses to help them grow. Once you conduct an in-depth research about the market where you are planning to sell your dairy products. Knowing about your target audience makes it easier for you to create appropriate planning and future plans to sell more and grow as a successful exporter in the particular country. Various websites are available to help you enjoy great help to ensure safer growth. Visit the country and consider attending a trade fair for added benefits. • Will you sell local to the business directly to a customer? • Will you use an import agent or distributor? • Can you cope with the increase in sales? • Do you have enough staff with the knowledge to make the leap into exports? This may not be required for multiple exporters, but if you are into the food and dairy products import-export business, it is a must to understand the importance of health certificates. There are over 1,500 different export certificates available across the world. All these certificates are split into 9 sections and the ‘health certificate’ section is the most important for businesses dealing in the food products. As a successful export, it is important to promote your brand in the international market. This steps not only helps your brand to achieve the international presence, but also lets your target audience know what they are actually buying. It can be in the native language of the country where you are planning to sell your products. • Have you got adequate insurance? • Have you consulted a legal expert? Taking care of the legal and insurance matters is quite important as ignoring these two can lead to great disasters. When dealing with the legal matters, make sure you are consulting an expert from the country where you are going to export your products.